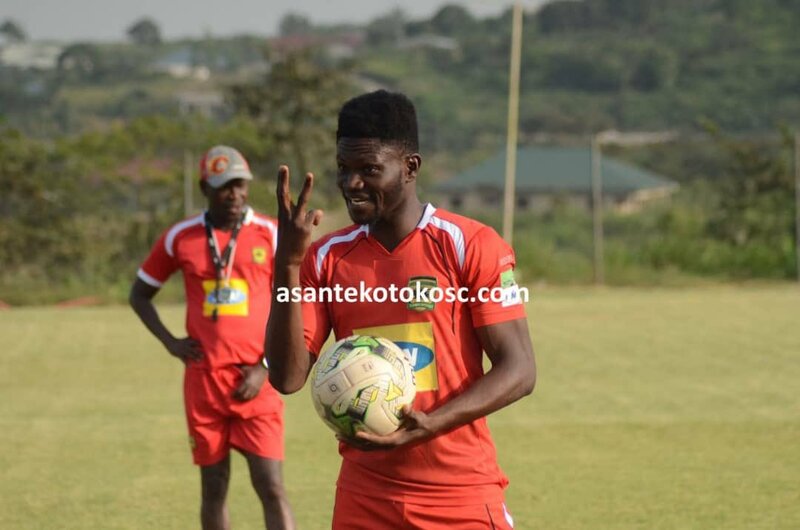 Asante Kotoko coach Charles Kwablan Akonnor will have midfield dynamo Kwame Bonsu available for selection, after making an injury return ahead of the game against Ashantigold. The Porcupine Warriors host the Miners in Kumasi in match day 4 of the GFA Special Competition on Wednesday. Bonsu,24, missed the Red's defeat to Medeama and the win in Techiman after picking a knock on match day one against Aduana Stars. But the former IF Gefle star has made quick return and could start for the Kumasi based club as they chase their third win of the competition. Kwame Bonsu has been a key player for the Reds, starring in the CAF Confederation Cup. His performances saw him earn a debut call up to the natrional team, where he featured in the friendly against Mauritania last month.